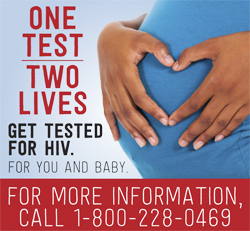 The Division of HIV/AIDS Prevention and Control collaborates with Alabama's medical providers to reduce the incidence of perinatal HIV infection. Access to routine comprehensive prenatal care for all HIV-positive pregnant women and their babies will help ensure this vision can be achieved. This page will be updated as treatment and support services change on a state and federal level. The staff at the University of Alabama Birmingham Family Clinic includes medical professionals who specialize in the treatment and care of HIV-infected pregnant women. Additionally, Family Clinic staff consists of a multi-disciplinary team that provides individual care and supportive services as well as access to research. Please view the Family Clinic's brochure for an overview of the clinical and supportive services and outreach programs offered.